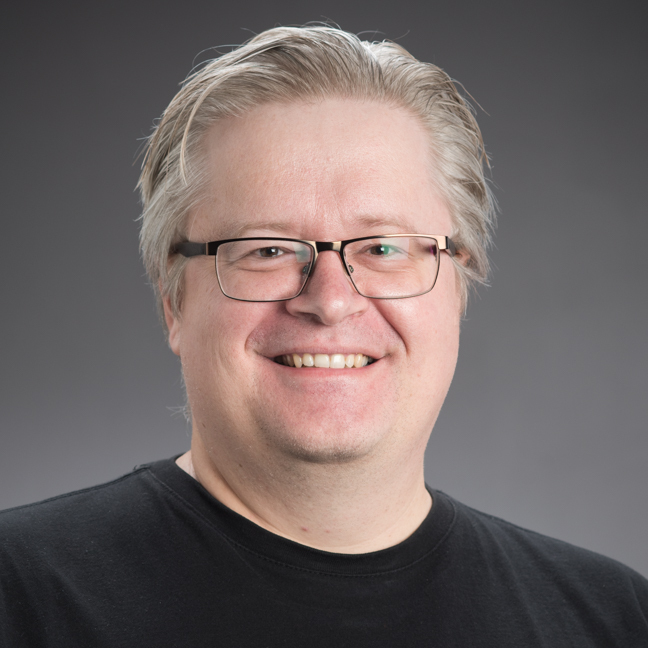 There are many reasons to use gaming to teach computer programming, says Karsten Lundqvist, including that they are lots of fun. Dr Karsten Lundqvist was eight or nine when the first home computers hit the market in his native Denmark. “When a computer arrived in the house on my birthday, I was thrilled. I was like a kid in a candy shop,” he says. Despite his father’s warning, Dr Lundqvist has indeed turned his passion for gaming into a job. As a Senior Lecturer in the School of Engineering and Computer Science at Victoria University of Wellington, he uses games development in his research. Dr Lundqvist’s primary research interest involves continuing to develop a pioneering e-learning course he founded to teach computer programming. More than 180,000 people from 197 cultures have been through Dr Lundqvist’s massive open online course (MOOC), set up while he was working for the University of Reading in the United Kingdom. MOOCs enable unlimited numbers of people to access online lessons at any time or place using a web browser or mobile device. Dr Lundqvist’s programming course, now also available through Victoria in a new collaboration with the University of Reading, ran in 2016 for the eighth time. Much of Dr Lundqvist’s research involves understanding how to teach so many people at one time, especially when students have a varying range of capabilities and resources. The MOOC has to appeal to very high-tech users as well as to the Nigerian student who contacted Dr Lundqvist to request low-res videos of the course videos because viewing high-res versions at internet cafes was using up all his data. My research matters because … It helps people learn new skills in unusual and fun ways. One of the inspirations for my research has been … Lego, which from an early age showed me the power of playful learning. I could immerse myself in problems and experiment without real costs of failing. The best thing about my job is … When I tell students I sometimes play games and I can call it work. The look on their faces is priceless. My career highlight so far has been … Being recognised by online course participants in New Delhi and London. Despite his enthusiasm for his research, Dr Lundqvist was a latecomer to computer science. Taking heed of his father’s view that it would be impossible to make a career out of gaming, he started and abandoned two university degrees before working in sales and management in Denmark and Norway for nine years. It wasn’t until he turned 32 that his wife’s posting to the UK gave him an opportunity to re-evaluate what he wanted to do with his life. “I realised it was boring to just make money. I wanted to have more fun,” he says. Dr Lundqvist enrolled for a Bachelor of Computer Science degree at the University of Reading. He’d thought of himself as “a lost soul academically”, but when he finished his degree he was given the award for top student and was offered a one-year job as a research assistant. He stayed on at Reading, becoming a teaching fellow and then a lecturer. His move to Wellington in 2016 was the fulfilment of a long-held ambition. When Dr Lundqvist and his wife, Kirsten, married in 1996, they decided New Zealand was the country where they would most like to live. “To us, New Zealand always seemed far away and unique. Within three days of moving here, Kirsten said she was falling in love with Wellington. It’s like San Francisco or Berlin, but on a smaller scale,” says Dr Lundqvist. An unexpected advantage of moving to New Zealand was being introduced to Māori culture. In future, Dr Lundqvist hopes to research ways to use gaming to enable secondary school teachers and students to learn te reo Māori and tikanga Māori. He is fascinated by different cultures and has supervised many PhD students whose computer science projects have reflected their cultural backgrounds. A Saudi student looked at ways teachers could use avatars of a different gender to teach in Saudi Arabia, where education is strictly segregated; an Iraqi PhD student investigated the use of technology to teach in war zones; and a Brazilian student examined the potential for using small laptops in deprived areas. Dr Lundqvist’s research contributes to Victoria’s ‘Spearheading digital futures’, ‘Cultivating creative capital’ and ‘Enriching national culture’ areas of academic distinctiveness. His research and his work with students—including teaching on the Master of Software Development programme in the Wellington ICT Graduate School—have made him even more certain technology is a way to bring people closer together. “People often talk about the negative side of technology, like trolling and election hacking, but there are far more good stories out there than bad,” he says.